Developer and manufacturer of process equipment for the recycling and secondary recovery industry, Eriez Magnetics Europe, has introduced a new, advanced fines processing system. Termed the FinesSort, it provides a cost-effective method for recovering metals from the classified fines in a scrap shredding operation. The fines typically represent minus ½ inch material screened from the process stream. Until now, this material has been too small to treat with conventional process equipment, so it was usually sent to landfill. The FinesSort now recovers the previously lost metals, turning a waste stream into cash flow. 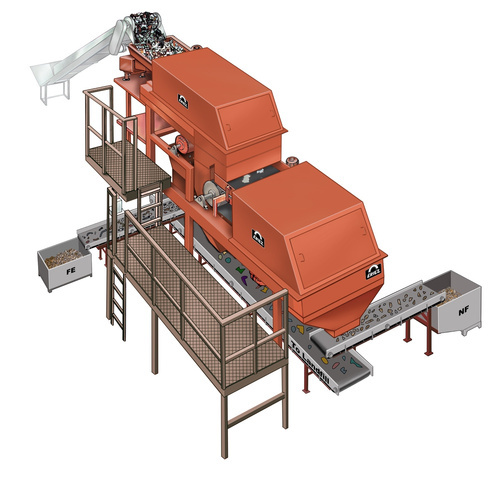 The FinesSort system features a feeder coupled to a magnetic separator and Eddy-Current Separator to produce both a ferrous and non-ferrous metal product. 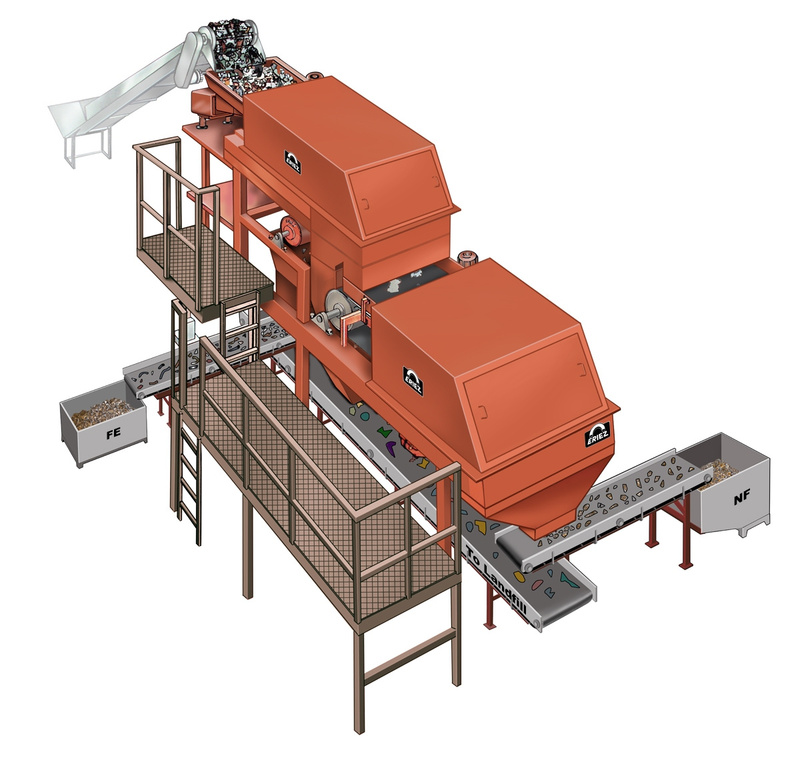 The feeder delivers a uniform feed distribution across the width of the magnetic drum separator, with the magnetic separator recovering all ferrous materials in the process stream. The non-ferrous materials from the magnetic separation are delivered to the Eddy-Current Separator, where non-ferrous metals such as copper and aluminium are recovered. Eriez is recognized as world authority in advanced technology for magnetic, vibratory and inspection applications. The company’s magnetic lift and separation, metal detection, x-ray, materials feeding, screening, conveying and controlling equipment have application in the process, metalworking, packaging, recycling, mining, aggregate and textile industries. Eriez manufactures and markets these products through eleven international facilities located on six continents. For more information visit www.eriez.com. This press release was distributed by ResponseSource Press Release Wire on behalf of Beyond PR (Oxford) in the following categories: Manufacturing, Engineering & Energy, for more information visit https://pressreleasewire.responsesource.com/about.